Mass direct messages on Twitter is a bit of a controversial subject. The practice has been on the rise ever since Twitter removed the character limit on direct messages in August of last year. This makes DMs more flexible and allows businesses to use them in a number of different ways. The problem is, mass mailing has a suspicious resemblance to spam if you’re not careful with the way you’re doing it. If it were completely free-rein, Twitter inboxes would very quickly come to resemble spam email inboxes. Fair warning: a lot of this article might get your hopes up before I cruelly dash them. I’m not a fan of mass DMing, and with good reason; it’s used for spam far, far more often than it’s ever used for anything legitimate. There are strict limits on DMing on Twitter, so you’re going to be fighting a wall the whole way. If you just want to send out DMs to everyone periodically to remind them of your website, you’re pushing the definition of legitimate. People are aware of your site, that’s why they followed you. If you want to send DMs to people who don’t follow you, you’re out of luck. The feature exists, but it’s disabled by default and most people don’t want to turn it on for exactly the reason you might think. On the more legitimate side, though, there are a few good reasons you might want to mass DM your followers. You’re launching a new product or service and want to make an announcement in a way you’re sure your followers will see. You’re giving away something to followers only so you don’t want to publicly broadcast it on another social media site or try to get people to fill out a form. You want to send a Twitter drip campaign when someone follows you, similar to the way you can send a drip campaign to new email subscribers. You’re trying to create a Twitter newsletter that provides a good amount of value without forcing people into an actual mailing list or a third party service. Twitter does not, however, natively support the ability to send mass DMs. Even if they implicitly allow the practice, they reserve the right to suspend anyone who is reported enough for sending out spam. They want to make sure you’re actually providing a good amount of value in your links and messages when you send them out; they don’t want spammers on the platform. 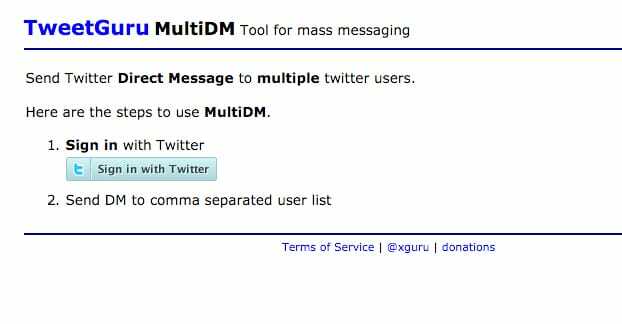 What this means is that you need to use a tool of some kind for your mass or automatic DMs. Here are your best options. This app hooks into a handful of different social networks, but obviously the primary one we’re looking for now is Twitter. 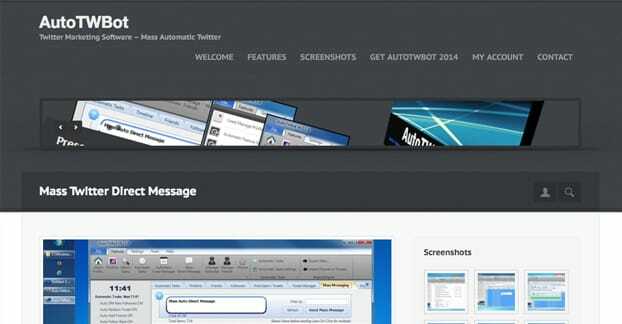 It has a variety of Twitter features, including some relating to DMs. While you aren’t able to bulk DM your followers, you can set up automatic DMs in response to certain events, like a follow or a reply. You can also have it generate a DM digest to send you via email each day, but that’s a professional feature only, not available in the free version. 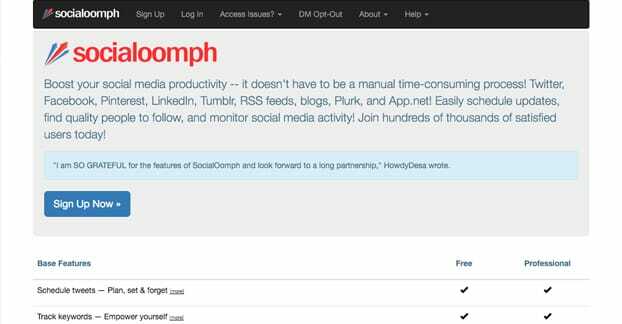 SocialOomph is a pretty good app for social media management one way or the other. Even if it doesn’t have mass mailer features, it does have enough going for it that it’s worth using. Give it a look. This app is about the best you can get, and it’s not very good mass mailing beyond a certain point. This is because of a combination of anti-spam practices and Twitter’s limits. Tweet Guru doesn’t want their API key revoked, so they play it safe. To use this app, sign into it via Twitter using the link above. This allows the app to send DMs on your behalf. Next, send a message to the creator of the app asking for a higher limit on the number of DMs you can send at one time. This seems like an inconvenient step, and it is. The reason for it is the app only allows you to DM 12 accounts at once. That’s right; twelve. One singular dozen people. You can get this limit raised, possibly, but you may have to prove that you’re not going to be sending a message considered spammy. Regardless of whether you increase the limit or not, you need to create a list of usernames you want to DM. You will input these in a comma-separated list in the space provided. From there, create your message and click to send it. This app is both more and less convenient than Tweet Guru. It’s more convenient because it has a much higher limit, allowing you to send up to 1,000 DMs at a time. It’s less convenient because it’s in private beta and isn’t not always open to new users. You can add your name, email address, and Twitter handle to try to get in, but don’t be surprised if you find yourself on a waiting list. On the plus side, if you do get in, the app has a number of nice features. 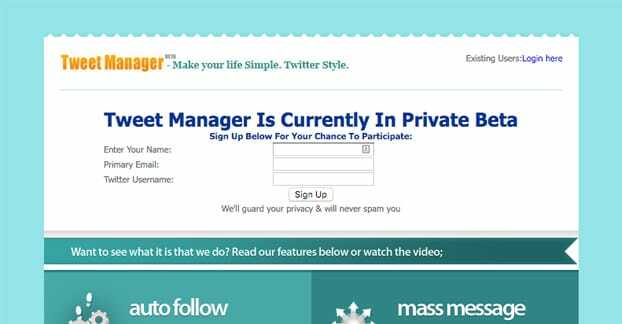 In addition to the mass DM function, it has automatic follows based on keywords and follow-backs. It has automatic replies with canned responses. It has automatic posting and posting from an RSS feed. It also allows up to two accounts at a time. This is the sort of app that exists to automate your Twitter presence in a way that is often considered spammy. Many of the features it makes use of are gray hat, so be aware that it’s quite possible you can find yourself suspended for using it the wrong way. One of the features of the bot is the mass Twitter direct message function. It doesn’t have a limit the same way other Twitter apps do, because it doesn’t use a bulk DM function. Rather, it pulls a list of your followers in and allows you to automate performing one task on all of them. You’re technically sending sequential DMs to your followers one at a time, it’s just that they’re all containing the same copy and they’re fired off in very rapid succession. Don’t build your marketing solely around the app you use to mass mail your followers. Twitter has been aggressive throughout the last year when it comes to blocking apps that allow mass DMs, specifically because the functionality is abused. 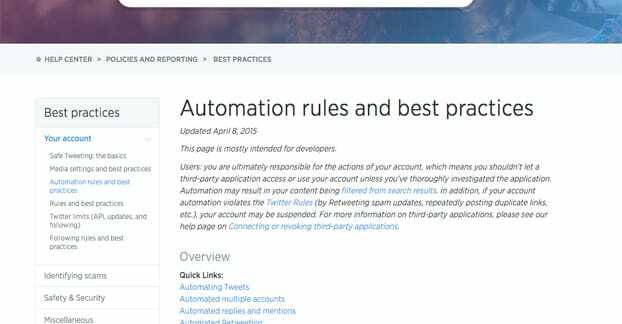 Twitter audits the app, discovers it’s sending too much spam, and revokes its API key. That company then is given no choice but to fold their app. You can see this repeatedly, with apps that have disappeared. Similar functions removed from popular Twitter apps. Twitter is very anti-spam and takes a no mercy approach to weeding out spammers on their site. You don’t want to be labeled a spammer, and you definitely don’t want to be responsible for an entire app dying, now do you? As open and flexible as everything is, Twitter does have some fixed rules about DMs and automation. Automated responses are only allowed if they are beneficial to the user experience. When a response is valueless or spammy in nature, Twitter is not shy about issuing suspensions. Twitter allows automation based on user consent, such as using IFTTT to post when you upload a video to YouTube. Automated posting to trending topics is prohibited because it’s shown to be trend-chasing rather than anything of actual value. It just spams the feed for users who are actually interested in the trend. Automation for the benefit of a community is allowed, such as an automated police blotter or automated posting of airline delays. Automation that creates accounts or runs several accounts using identical messages and timing is prohibited. Using multiple accounts is not, but using multiple overlapping accounts is. You can’t make Brand_1 through Brand_100 and have them all post the same content in an attempt to get your content to trend. Autoresponse campaigns such as the drip campaign example above are only allowed with approval from Twitter. You can try it anyways, but you risk a suspension if they don’t approve. 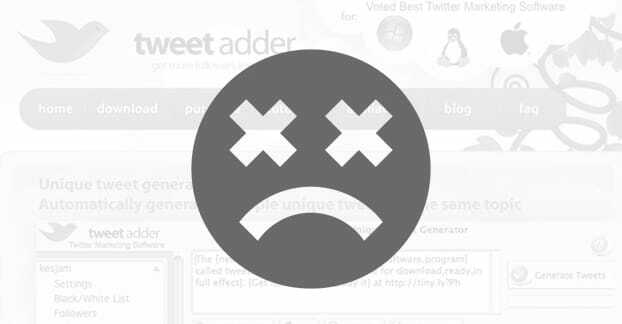 Any form of non-value-added automated retweeting is banned. Manual retweets with additional value may be allowed simply because they are harder to detect, but are still risky. Automated follows and unfollows are prohibited in general when they lead to abuse. You can use automated follow-backs, for example, but anything that leads to excessive follower churn is not allowed. Automated DMs are allowed, but only with express user consent. In other words, you can’t send out automated DMs without solicitation. The user must opt in to the messaging in some way. 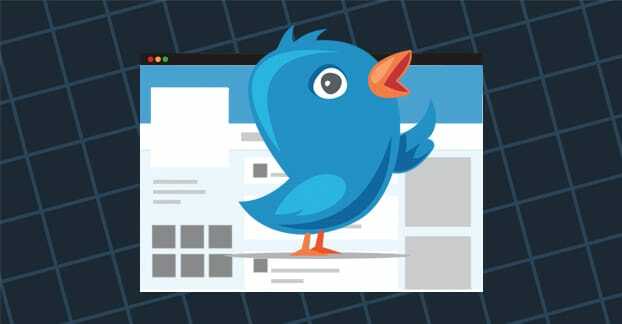 Authenticating an app or following an account is not considered express permission for the purposes of Twitter’s rules. Direct messages have their set of rules as well. DMs are allowable between any two parties on Twitter, though any user also has the option to block any other user from messaging them. Twitter allows DMs to people who don’t follow you, but the user has to have enabled the feature, which many have not. Groups do count for an association, so anyone in a group conversation can message anyone else in the group. You can read all about actually sending, managing, and deleting DM conversations here. Setting an account to protected does not prevent DMs from followers, and if the setting allows it, DMs from non-followers. You can only send up to 1,000 direct messages per day. After that limit is reached, you will be unable to send any more DMs. This is a huge limit on brands trying to send mass DMs, because once your following reaches a sufficient level, you won’t be able to reach them all. If you are sending numerous DMs in a day, you may need to make sure your phone number is verified, otherwise Twitter will prevent you from sending more on the assumption that your account is spam. Sending the same message to numerous accounts at once may be flagged as spam and will trip an automatic rate limit that requires you to pause for at least 30 minutes before sending another message. All in all, sending bulk DMs is not really a viable function on Twitter. There’s really no replacement for it, either. You could send the same message as a direct reply to everyone who follows you, but that’s even more likely to be considered spam, since you’d be posting the same message hundreds or thousands of times. There’s simply no good way to bulk DM people. My recommendation is to give up on the idea of DMing people for any purpose and instead focus on getting people to subscribe to a newsletter. A newsletter does all of the same things you want a DM to do, except it allows you a lot more flexibility. You can use HTML to make nice-looking emails. You can monitor open rates and other metrics. You can also combine feeds from numerous sources. People from Twitter, from Facebook, from your website, and any other channel you like can all subscribe to your mailing list and get the same unified message, without the hassle of rate limits and spam filters like with Twitter DMs. Can Getting Too Many Twitter Followers Get You Banned? How do you mass direct message people on Socialoomph.com?